MySpace has redesigned their iOS app and sheds its beta tag, hoping you’ll remember it still exists. The new app for iOS features a new interface that’s very visual and focuses around music. Users can upload animated GIFs to their stream as well as stream new “social” radio stations. Radio stations are personalized with tracks that you’ve liked, training the recommendation algorithm. Users will also be able to check out what their friends have been listening to. The interface looks like a mash-up between Google+ and Facebook Home, with icons popping up at the bottom of the screen. Probably the coolest thing about the MySpace app is the ability to create and upload GIFs. Users can stitch together a series of photos or take a clip from a video to create animated GIFs. This seems to mimic Vine‘s six second video sharing feature. 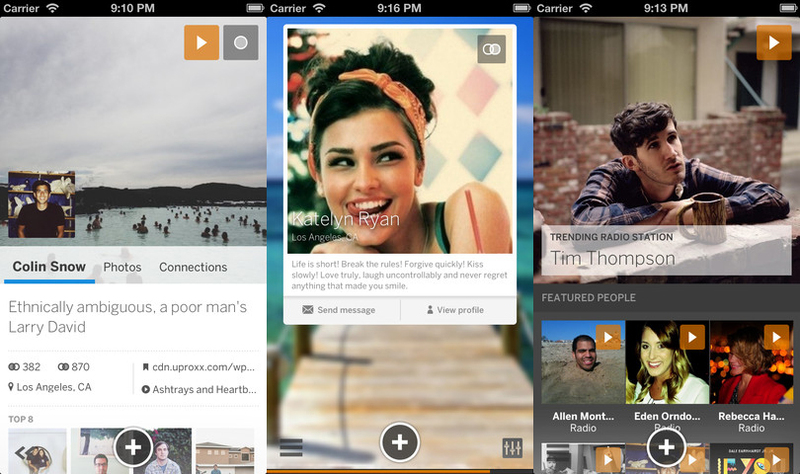 With iTunes Radio coming out for iOS 7, can MySpace really succeed by creating yet another social radio feature?